Rapper 21 Savage has been released on bond from custody, after being detained by the US Immigration and Customs Enforcement (ICE) earlier this month. 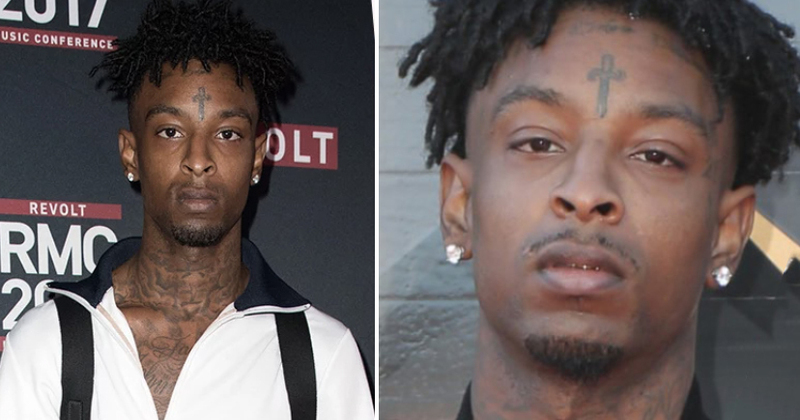 Attorneys for 21 Savage – real name She’yaa Bin Abraham-Joseph, shared a post on Facebook today (February 12), announcing the news. For the past nine long days, we, on behalf of She’yaa Bin Abraham-Joseph, known to the world as 21 Savage, have been speaking with ICE to both clarify his actual legal standing, his eligibility for bond, and provide evidence of his extraordinary contributions to his community and society. The 26-year-old was taken into custody in Atlanta on February 3, with law enforcement claiming he was in the country illegally. Authorities say the rapper legally entered the US in 2005, but added his visa expired in July 2006. His lawyers stated this is true, but noted 21 Savage was left without legal status ‘through no fault of his own’. Mr. Abraham-Joseph, like almost two million of his immigrant child peers, was left without immigration status as a young child with no way to fix his immigration status. He has exceptionally strong ties in the United States, having lived here since he was in the first grade. Because of his length of residence in the United States and his immediate relatives, Mr. Abraham-Joseph is eligible to seek Cancellation of Removal from an Immigration Judge. 21 Savage has received public support from Post Malone, Cardi B, and Jay-Z.